Today I fancied something quick, tasty and cheesy for lunch. 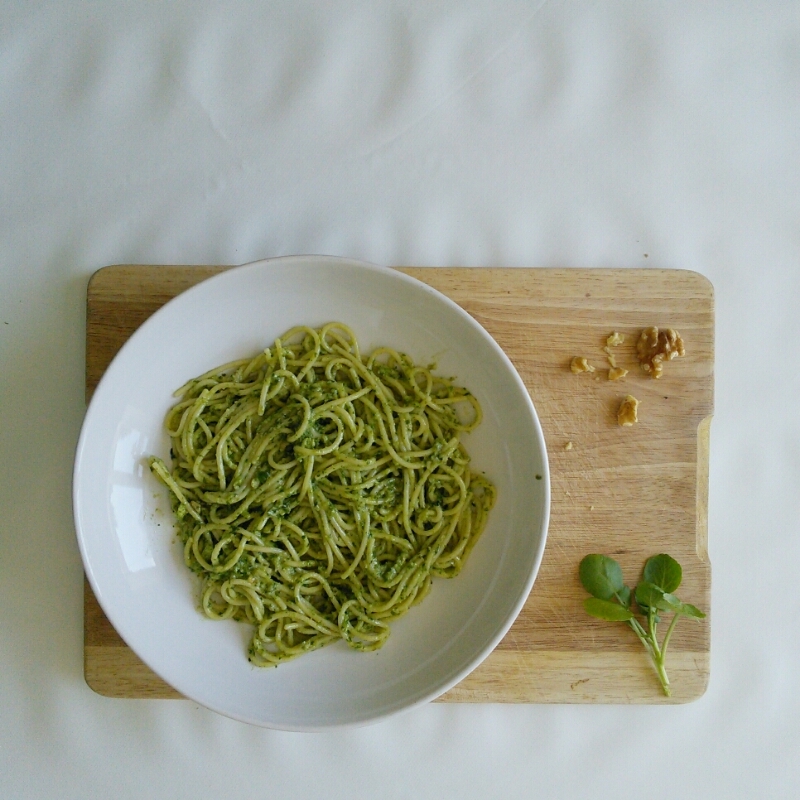 I had a big healthy bag of watercress in the fridge and this is a really tasty way to use it. 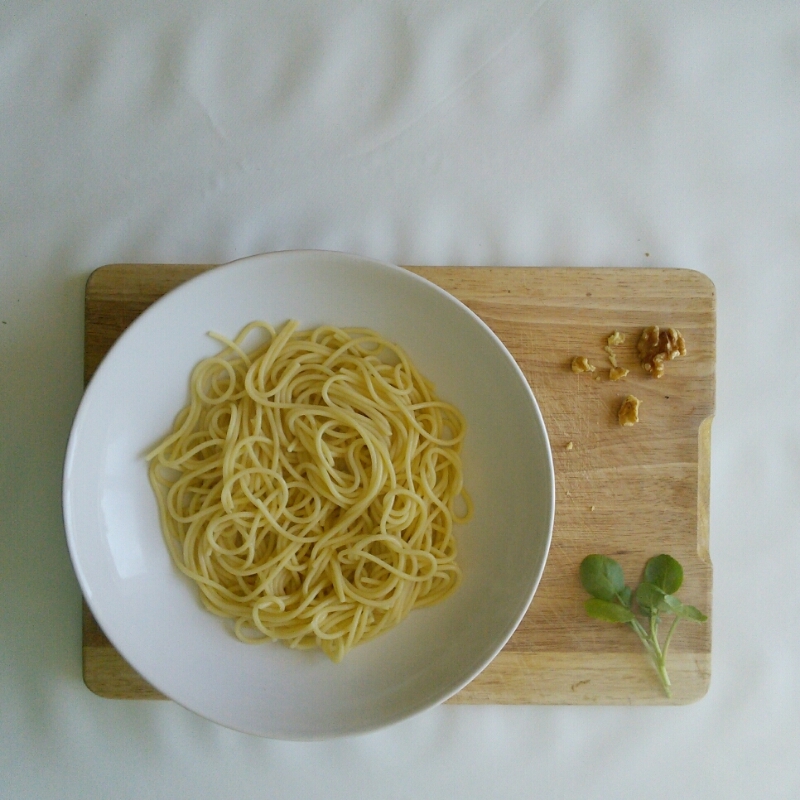 You can use any sort of gluten free pasta for this dish but I used Glutafin spaghetti. 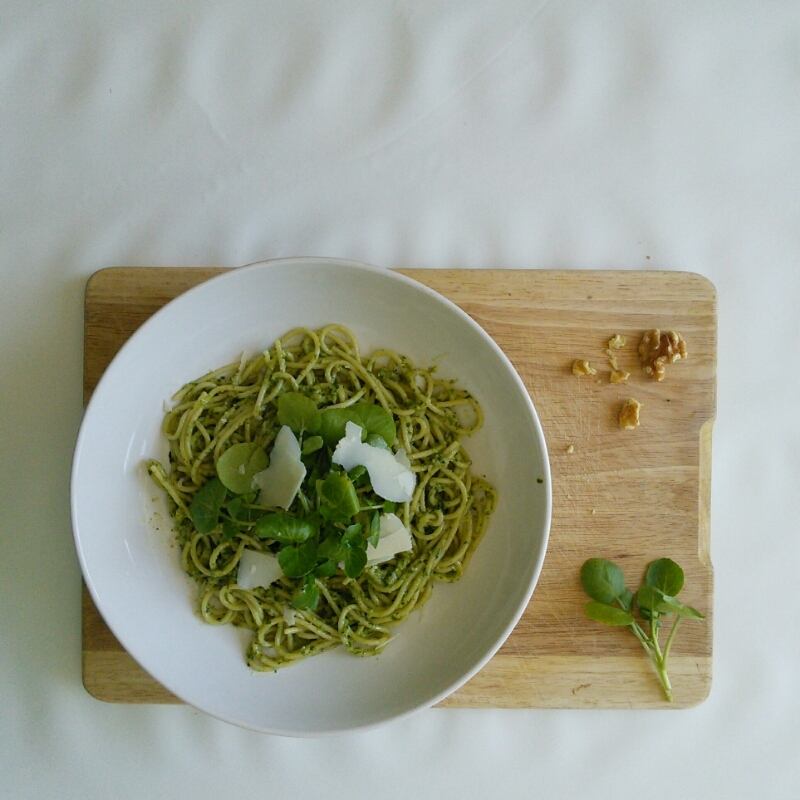 Serves: 4 Ingredients 30g watercress 30g basil 2 tbsp walnuts 1 garlic clove – sliced 30g parmesan – grated A few parmesan shavings 1 tsp sea salt 100ml olive oil 400g gluten free pasta Add the watercress, basil, walnuts, garlic, salt, parmesan and oil to a blender and blend. 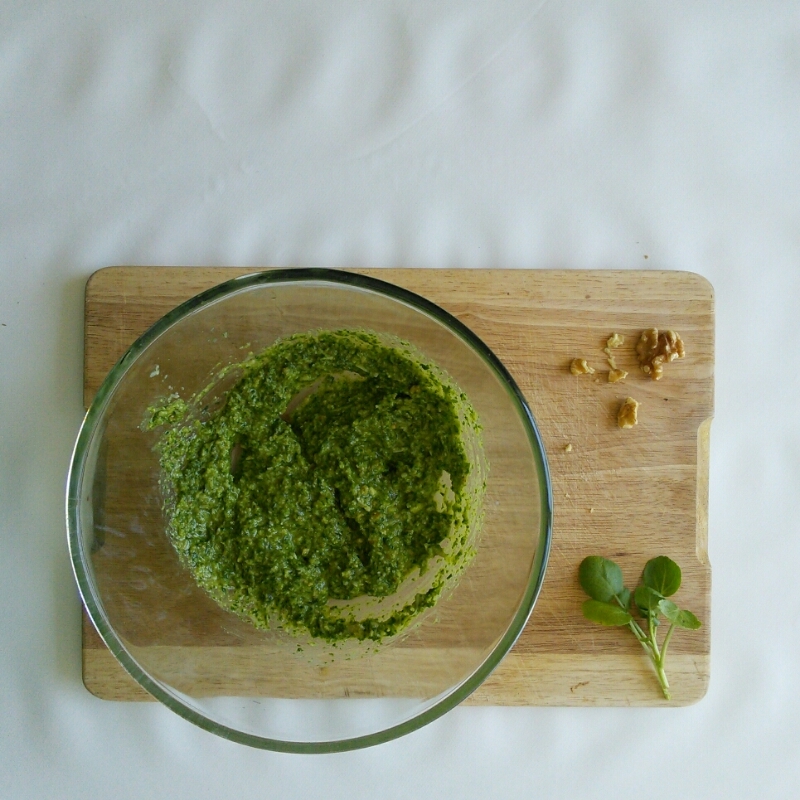 Setting aside a few sprigs of watercress for decoration. 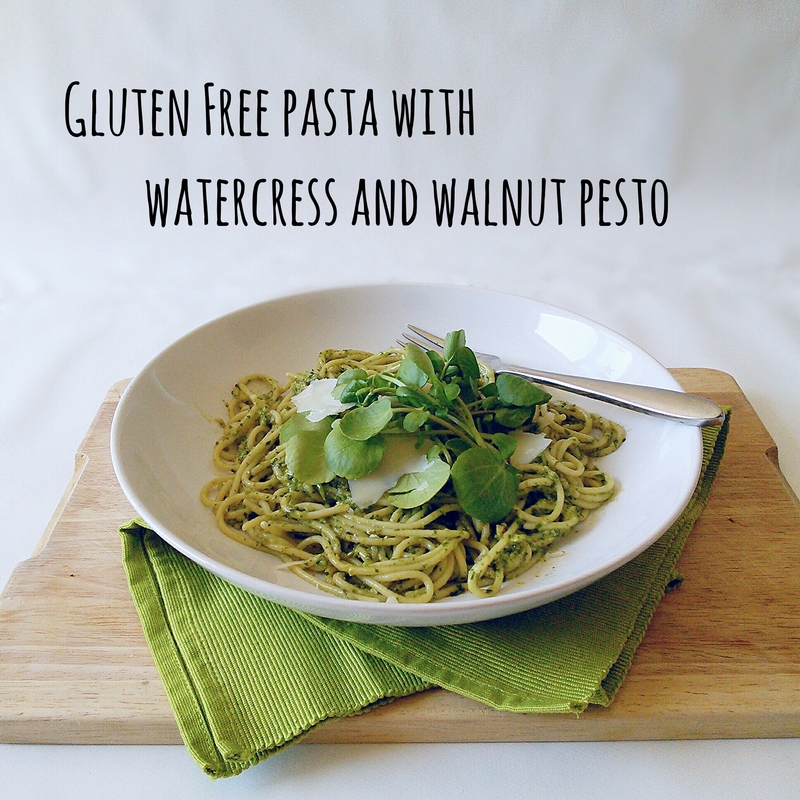 Cook the gluten free pasta following the packet instructions. 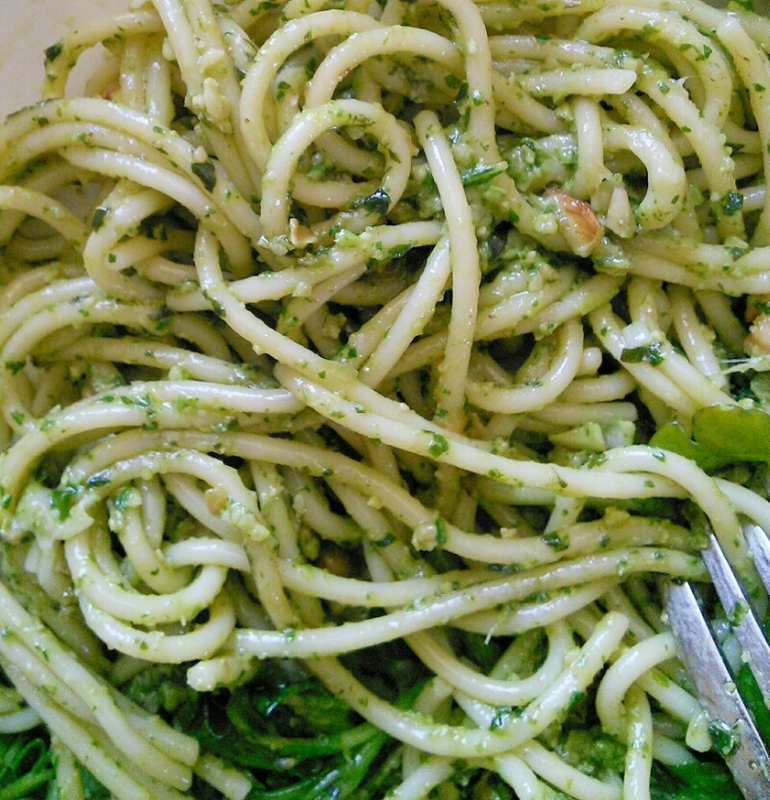 Drain, add the pesto and stir. 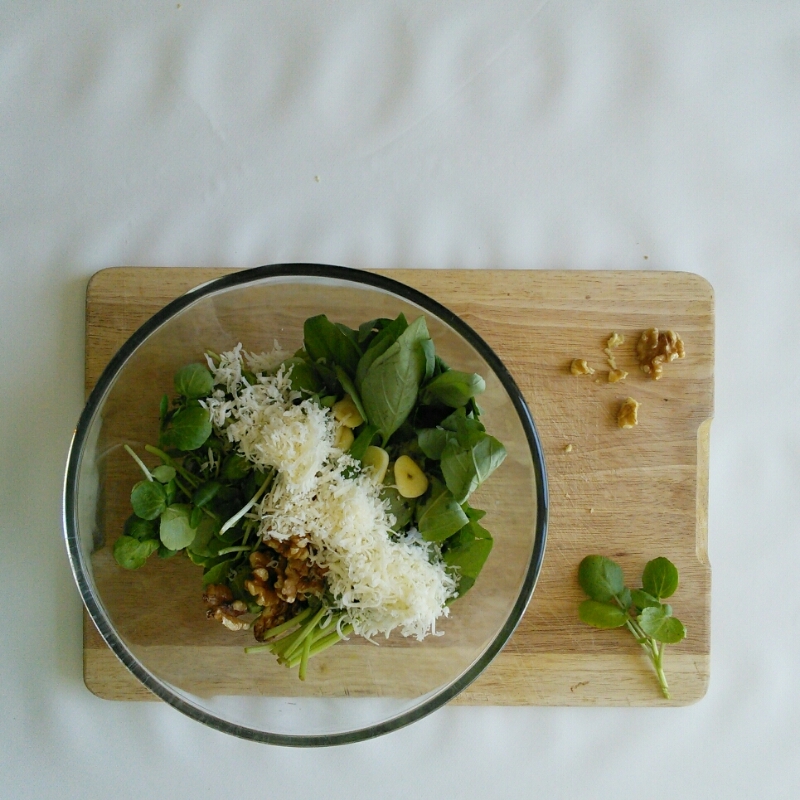 Divide between bowls and top with the remaining watercress and parmesan shavings.